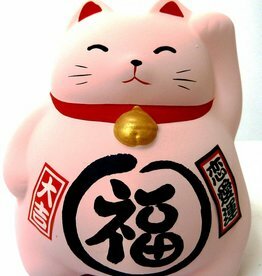 These cute Maneki Neko (Lucky cat) piggy banks are available in various bright colors. The lucky cats have a special significance. 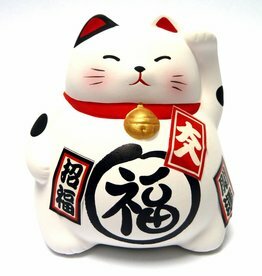 This white Maneki Neko (lucky pig) piggy bank stands for purity and positivity and brings happiness and joy. 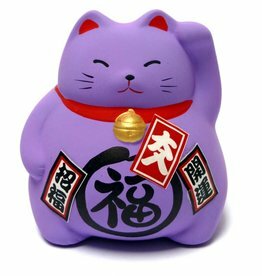 The purple Maneki Neko promotes creativity. This pink lucky pig piggy bank symbolizes happiness in love and / or marriage. 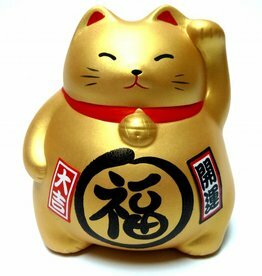 The significance of this red Maneki Neko piggy bank is happiness in marriage and personal atmosphere.